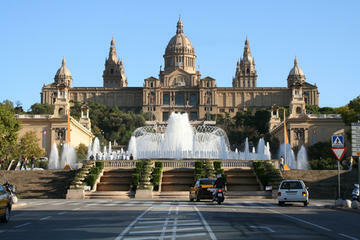 While you’re in Madrid, take the opportunity to visit Barcelona for the day by train. Catch a high-speed rail connection direct from Madrid and travel across the heart of Spain to Barcelona. Then tour the city’s famous sights on a sightseeing bus tour that takes in Las Ramblas boulevard, Gaudi’s Sagrada Familia cathedral, the football fans’ favorite, F.C. Barcelona stadium Camp Nou, and much more. 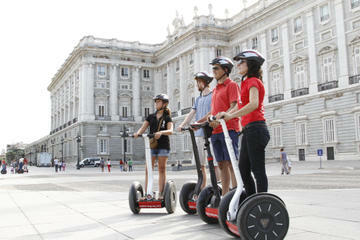 The tour follows two routes, taking in all the sights, and you can get on and off as you like. With return train and sightseeing bus tickets included, everything’s organized so you can enjoy the freedom of independent travel in Catalonia’s incomparable capital, Barcelona. 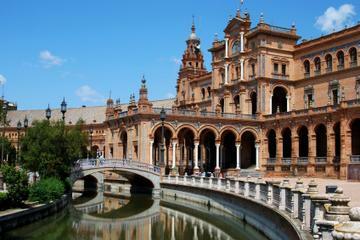 Day trips from Madrid to Barcelona by train are a great way to see the Spanish countryside. Departing from Madrid’s Puerta de Atocha train station, enjoy a three-hour train trip across Spain’s heartland to Barcelona’s Sants Station in the center of the city. 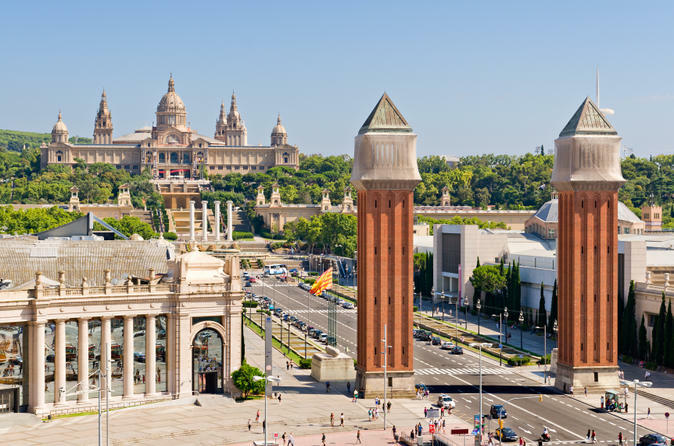 In Barcelona, go shopping along the city’s stylish Paseo de Gracia boulevard, visit tapas bars and the Picasso Museum in the Gothic Quarter, sightsee at your leisure and join a hop-on, hop-off bus tour to see Barcelona’s sights at your own pace. 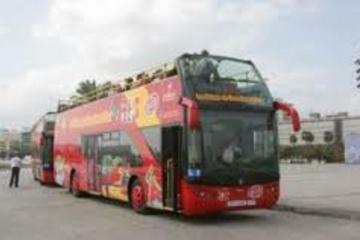 You’ll have terrific views from your double-decker sightseeing bus, and travel around Barcelona in comfort. The hop-on, hop-off sightseeing buses follow two sightseeing routes, East and West, and cover all the city sights. Visit Gaudi's giant unfinished cathedral, La Sagrada Famila, get a bird's-eye view of the leafy promenade Las Ramblas, discover the Port Olímpic beachfront promenade and see the famous F.C. 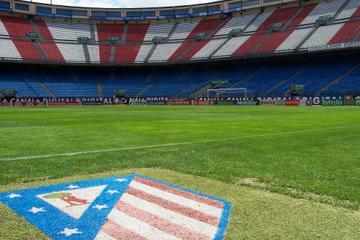 Barcelona football stadium. 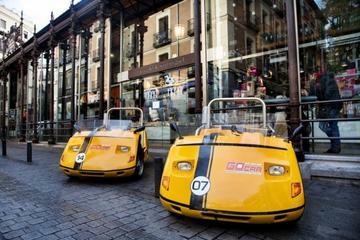 Get on and off at convenient stops throughout your day in Barcelona, and swap between sightseeing routes. Learn about the history of Barcelona and its many sights as you listen to the comfortable audio system with earphones, provided in 12 languages. Each bus is staffed by a helpful stewardess, and a map and guide are provided so you can follow the route, note where the stops are located, and learn more about Barcelona’s sights. Buses travel between stops on a 10- to 20-minute schedule, and each route takes around two hours to complete. Highlights of the East Route include the leafy Plaça Catalunya, the medieval Gothic Quarter with its atmospheric cathedral, the yachts of the port area in Port Vell, the palm trees and beach esplanades of Barceloneta and Port Olímpic, the hilltop Tibidabo and Gaudi’s unfinished masterpiece the Sagrada Familia, the playful sculpture gardens at Parc Güell, and fanciful apartment buildings La Pedrera and Casa Batlló. West Route highlights include Plaça Catalunya, the Gothic Quarter, the Christopher Columbus statue by the port, Miramar Gardens, Joan Miró museum, Montjuic Park, Poble Espanyol Spanish village, Plaça d’Espanya fountain, F.C. Barcelona Camp Nou, Av Diagonal, and Gaudi’s apartments La Pedrera and Casa Batlló. The AVE is the only to go. We extended our trip to two days to take in more of Barcelona. One day in Barcelona is not enough. If you go to Europe, you have to visit Barcelona and live the amazing experience of travelling in a hight velocity train from some of the cities around. 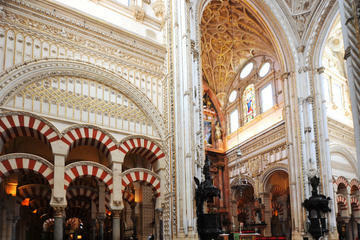 My family and I loved the trip from Madrid and it was, no doubt, an unforgettable moment. The trip was great. I would just make sure you have the hop on hop off bus tickets in your hands. We assumed they were in the envelope from the travel office but found out in Barcelona that it was just the map for the tour bus. Luckily I had printed a copy of my paid voucher and with some difficulty was able to prove that the bus tour was part of my paid tour package. Getting the train ticket and voucher for the tourist bus in Barcelona worked out great. I recommend this trip. The only thing that could have improved the trip was if you had told us more about where to catch the tourist bus at the train station in Barcelona. It took us about a half-hour to figure that out, and there are two tourist bus lines, so we had to figure out which one was ours. it rained like cats adn dogs, but we really enjoyed the trip. The train trip was comfortable and, once we found the hop on/hop off bus stop, we were on our way. The tour around the city was good, but we found one day too tight to see everything. Other than better sign or directions to the bus stop (#12) by the train station, I would not change a thing.